November 06, 2018, 7:00 p.m.
It’s been a tumultuous year for Boris Johnson and Theresa May, so they will be relieved to discover that they are the joint most-liked politicians among Britons in our new popularity tracker, YouGov Ratings. Both politicians have a 32% approval rating, putting them in joint lead at the top of a table of the country’s 229 top political figures. YouGov Ratings measures the popularity and fame of anything and everything, from politicians to folk singers, chocolate bars and football clubs, based on millions of responses from the British public. Ratings figures are compiled over the long-term, with current scores being pulled together from data collected between May 15 and October 31, and will eventually cover a rolling year. The results are slower to respond to news and therefore more representative of long-term opinion. Johnson’s current score covers a period in which he stood down as Foreign Secretary, publically criticised Theresa May’s Brexit negotiating and made controversial comments about women who wear a burqa/niqab, so will likely trend downwards in coming months. As well as tracking those who like politicians, YouGov Ratings also tracks those who dislike or have a neutral opinion of them. Taking these figures into account, we see a different story emerge. While they may be the politicians that the highest number of people like, significantly higher numbers of people dislike both figures. Johnson is disliked by 43% of the Britons and May by 46%. By that measure, Johnson has a slightly higher net popularity than the Prime Minister. But what does the whole table of all 229 political figures look like if we take net popularity as a more useful measure of favourability? Only 40 in the list are more liked than disliked and so have a positive score and only four are recognised by more than 50% of the population. 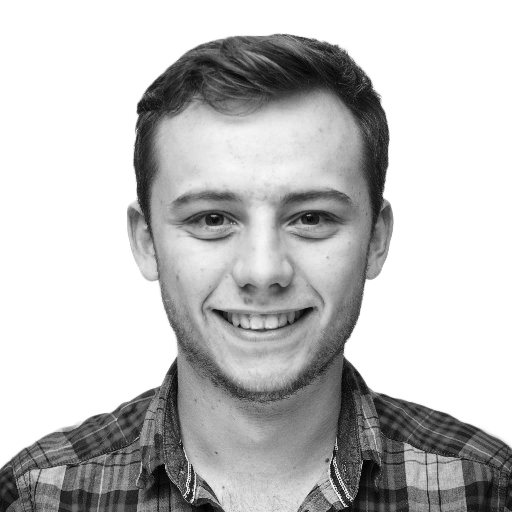 The politician with the highest recognition score (62%) - while still maintaining a higher number of people who like them than dislike them - is Ruth Davidson, the leader of the Scottish Conservative Party. She&apos;s closely followed by former Labour Home Secretary Alan Johnson (55%) and Mayor of Greater Manchester Andy Burnham (53%). Of the three, Davidson&apos;s has the highset net rating at +7, to Johnson&apos;s +1 and Burnham&apos;s +2. So, by this measure, Ruth Davidson is the most popular politician in Britain. 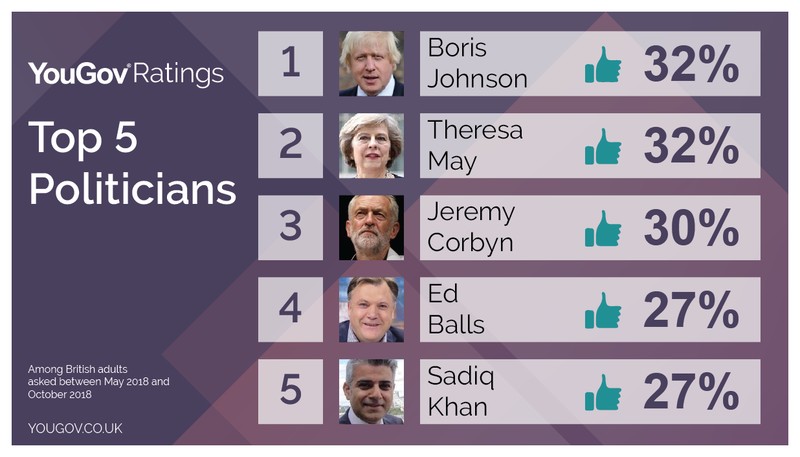 Whilst the largest numbers of people do like Boris and Theresa May, this is mainly because they are well known and divisive - Johnson has a recognition rating of 97% and May 100% - rather than particularly well-loved.